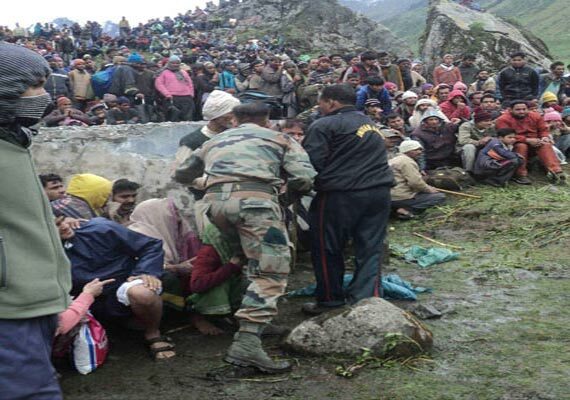 Uttarakhand Tragedy and the “Asafal Yatra”!!! “Had gone for the Kedarnath yatra, returned home safely today” texted a cousin of mine few days back as the Uttarakhand disaster was unfolding. My cousin and her group members were lucky but many were not. She would tell me later that their group heeded to the announcements made in the PA system to turn back as the shrine would be closed due to flash floods. However many didn’t. They didn’t want their ‘Chardham Yatra’ to turn into an “Asafal Yatra” (Unsuccessful trip) and decided to either stay put or proceed ahead. Having come thus far they didn’t want to take a U-turn without completing the yatra. It is not very difficult to guess if they had a successful trip or not. Should we call this as the indomitable spirit of Indians or Indians’ submission to Faith sometimes irrationally? I don’t know. One-upmanship by different Chief Ministers in carrying out rescue and relief efforts for their own state people without bothering about a coördinated effort and ofcourse the mad rush to take credit!!! Top politicians including our PM, Sonia Gandhi carrying out neatly televised “Aerial Surveys” of the flood hit areas!!! Aerial surveys??? Narendra Modi doing what is now known to be called as the “Rambo act” in rescuing 15000 Gujarati pilgrims with a fleet of vehicles and Boeings!!! TDP and Congress politicians coming to blows at the airport on who will take the credit for rescue of their state people!!! Congress doing a “Flagging off” of the relief trucks in Delhi again in a PR coördinated event!!! When did relief measures become a F1 event??? National Disaster Management Authority which has a politician as its Vice chairperson (Why, why, why???) not meeting even once between 2008 and 2011 and met once post 2011!!! What kind of disaster management do we expect??? The Prime Minister of the country in the midst of all this – continuing his stoic silence!!! It’s not just the politicians playing the one-upmanship game. The media were not far behind. How many times were we told that “The 1st channel to reach Kedarnath shrine” or “1st channel to show live pictures from,..,..”??? Do we need a race here? News Express TV showing visuals of a shameless reporter sitting on the shoulder of a young man as he wades through waist deep water and reporting “live”!!! Do we need such crass “Live” reporting?? In the competition for exclusive dispatches, media crew hopping on to the choppers – which meant that so many needy common people, would have been left behind!!! In all this, Times Of India’s news report of Narendra Modi’s Rambo act takes the cream. Can’t believe how the country’s oldest and leading newspaper can carry a planted news item without verifying the facts! The same newspaper carries an editorial few days later questioning the veracity of its own news item!!! Considering the fact that choppers were the only means of transport available – did we see any of our industrialists who fly around in their own choppers, sparing theirs for relief work? Did we see the new economy companies and their promoters who are normally very articulate in pushing their interests in policy matters coming forward with their support? Or for that matter the so called august members of the “Bombay Club”? Except for Mahindras I didn’t see any contribution announcement! Isn’t it just plain business expediency if a chopper company starts charging few lacs per person for transporting people to safety? While on Industry, where were Bollywood and its famed stars??? If rag pickers in Delhi and inmates of Tihar can come together and contribute for the flood relief, why not the Kapoors, Kapurs, Kumars and the Khans??? On winning the Champions Trophy, BCCI was quick off the block to announce Rs.1 crore as prize money to each team member. Great. Did you hear any such largesse for Uttarakhand relief? What about the players themselves? I saw ofcourse Harbhajan (he was rescued by the army) announcing his contribution. How it would have been if our great captain Dhoni had refrained from the usual champagne popping after the win and instead expressed solidarity with the victims of Uttrakhand? I’m sure the respect we have for our cricketers would have gone up few notches. Littering places with plastic leftovers is our National common pastime. The choking of drainages in flood situations like this never deters us from doing the same next time! In social media some were lamenting about the possible wash out of the Champions Trophy final last Sunday when few towns and villages have been washed away from the maps in Uttarakhand! On the flip side, I was touched seeing a story of a group of Sikh volunteers who reached Uttarakhand with a sole purpose of performing last rites in mass funerals. Amidst the cacophony this story is a must watch. So while the politicians and the administrators have to take their share of the blame, as a society we have to look at ourselves as well. “We deserve what we get and we get what we deserve”!!! The only one section which gave a good account of themselves was the Armed forces in the midst of all this. They did (and continue to do so) their job meticulously and silently under a hostile environment. It was extremely ironical that we had to lose 20 brave hearts while on duty trying to rescue human lives. May their souls rest in peace. The uniformed men are always a source of inspiration and re-assurance. As the monsoon sweeps across the country, it has already displayed its angry emotions. And I read that hordes of people are getting ready for the Amarnath yatra which started on the 28th June. Which begs my earlier question on the Spirit vs. Faith? There is enough information in public domain on the weather information,.. I hope and pray people pay attention and heed to travel advisories and this yatra passes off smoothly without any calamity. “Badi ajeeb si hai maut bhi, kabhi kabhi us jagah par milti hai, jahan aksar log zindagi ke liye dua mangte hain!!! Anand San, me too share the similar views, in fact all true Indian must be feeling like the same. I remember going to ‘Kumbh Mela’ and trust me the kind of mismanagement and mad rush was there, very difficult to imagine that living in metros like Delhi. Even after 60 years of Independence, Government is unable to provide basic amenities at places like Haridwar etc and the pathetic connecting Roads! And rightly you said that This Tragic Death Scene is very strange, it looks Lord Shiva opened his Third Eye on the devotees praying for longer lives!! While going through your post I felt like u did the same what TOI did.. First form an opinion and then backtrack fron it. Did I ?? Anyways thanks for your feedback. Well written Anand ! You captured all angles, yes we truly get what we deserve! It is such a shame ! Dinakar, Thank you for your feedback ! Anand Bhai, well said, excellent and reality you have brought in to limelight. Kumar Sir, Thanks for reading and for your quick feedback ! Well written. I like the comment that Indians live by double standards and are hypocrites. we expect others to live up to ethical standards and when it comes to the individual to live by his saying -we say – not me officer- thanks!. Unless this attitude-paradigm shift occurs with every Indian- things will be the same. Lets learn from Germany, Japan etc- as to how they managed disasters- the recent floods in Elbe river was predicted and managed by the people.Everybody obeys the law and cooperates for the benefit of others. Private sacrifice is expected and followed for public good.It will not happen in India. We will be like this always, we have never been otherwise. Europe was like this many years ago, they have learnt and civilized themselves, we are yet to learn. Hi Ramesh, thanks. Was missing your incisive comments. Welcome back! Well written anand.A lot to learn and practice. Hi Bindu, thanks for reading and for the feedback. It’s truly very complicated in this busy life to listen news on Television, so I only use world wide web for that purpose, and get the most recent information. Quite in-depth, I must say!!!! I really like the content and the balance in writing. Its sad that in India the real disaster starts after the natural one has ended and this thing you brought in the post very well. Hi, you said it well. Thanks for your valued opinion. You’re post here is an eye-opener and it’s setting out a great message!! Hi Teesha, Many thanks for reading and leaving your comments ! I really appreciate your thought provoking post. It is quite comprehensive and is talking about the need of the moment. Good one. Post disaster, I think we should pause our char-dham yatra for some time and should allow the armed force people some breathing time. This is required for the state and the locals to come to a manageable stage also. At least we the people can think in that. Coming to your points of pre and post event management by the government/media and politicians – there are many such incidents which confuse me about their intentions, reactive and proactive preparedness, political will and fighting spirit. Simply Chaita hai attitude is frustrating…. Hi, I agree with you. Thanks for reading and for your feedback. Faith is very strong emotion…it makes people do amazing things. Fantastic! Quite elaborate. And you put in the political section too! Hi Mansi, many thanks for reading the post and for leaving your feedback. Well written Anand. Many things to ponder about- foremost one the havoc we have created with the ecology of the area in the name of tourism and development. Big dams, big hotels and big pockets of ever demanding tourists- much to be blamed. very well written indeed. I absolutely agree with what you say. Thank you for the feedback and you said it well. A comprehensive take on the disaster and the events that followed. Great writing, I particularly loved the couplet in the end. Whilst I believe (or rather hoped) that the industrialists and the other influential people must have taken a step forward to chip in for the rescue operations, it is unfair of us to expect them to do so. It would have certainly been great had they helped, but I would like to point out that they aren’t obliged to do so. And if we do expect them to come forward and donate a part of their earnings to those needy, we must hold the others (anyone in capacity to do so) by the same standards. Apologies if you don’t agree with my views. In essence, it was a great piece. Thanks for reading and for the feedback. Your views are most welcome ! Pls feel free to express. I only mentioned the same from a societal responsibility perspective. I believe that if corporates can do marketing in a big way at the Kumbh, they also can chip in with whatever they can in such a crisis. Extremely well written post, Anand.! You’ve covered the incident really well from a lot of different perspectives. I usually refer to the common man as part of ‘a herd’, lacking an opinion or the desire to change. You have the ability to spot wrong, and injustice, and that isn’t very common. The anger and helplessness too came out, in the post. What we need to do is, focus on identifying ways and means to drive a change. Politicians haven’t, and will mostly never change. Like they say, ‘power corrupts’, and there aren’t too many people who can handle power. So it’s time a few common folk became the drivers of change. Good luck with it. Stay connected. Hi Shrutin, Thanks for your detailed response. Lets be in touch. Definitely Anand.! And good luck with more such insightful posts.! You hit the nail on the head when you say we expect high moral standards from others, but we ourselves fail to live up to them. You are more than right. Good blog. Well written piece. Thanks. Thank you so much for your feedback. Appreciate. Very well said ..couldn agree with you more!!! Thank you Sandeep for reading and for the reaction ! l like d way u question celebrities cricketers, bollywood & corporates and frankly they have nothing to do with humanity as when relief work was going on i was hoping that some helicopters wil b sponsored by some corporates or celebrity but tht didnt happen. You could certainly see your skills within the article you write. The world hopes for even more passionate writers such as you who are not afraid to say how they believe. Yes! Finally someone writes about the harsh truths ! 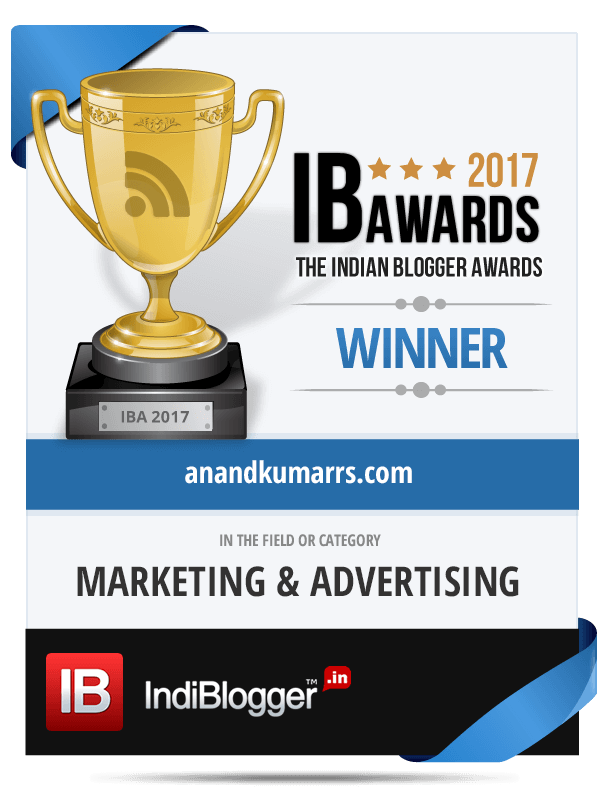 Hi Anand, just read your post. Very well written. If you rather did it as a song, it would sound like Bharathiyar from past. Hi Suri, Good to hear from you here. Thank you so much for your feedback. Much appreciated.